Courtney Collette is the chief operating officer of Cambridge Institute for Family Enterprise, a leading education and research institute dedicated to the significant issues family enterprises face. 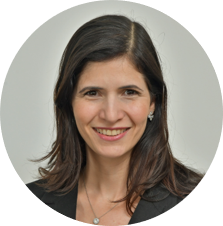 She is senior advisor and partner at Cambridge Advisors to Family Enterprise, a highly specialized international advisory firm serving family enterprises. Both organizations are divisions of Cambridge Family Enterprise Group, a global organization founded in 1989. It is devoted to helping families achieve multigenerational success for their families, enterprises, and financial wealth. Since 2004, Ms. Collette has advised multigenerational family enterprises of diverse sizes, generations and industries in North America, Latin America and Europe. She assists families with the design and implementation of family governance, strengthening family unity, education and training of family members for future roles, preparation of the next generation, succession transitions, and facilitating difficult conversations. Since 2011, Ms. Collette has led the Cambridge Institute’s start-up and growth. She oversees its education programming, research studies and publications, and designs curricula for its conferences and education programs for family business audiences worldwide. She designs the annual programs Preparing Owners of a Family Business and Building a Worldclass Board for the Family Enterprise, as well as private custom programs for individual families and organizations. Ms. Collette is a Program Advisor for the family enterprise suite of executive programs at the MIT Sloan School of Management. She designs the curriculum and facilitation component of the Future Family Enterprise program and the Founder to Family program at MIT Sloan—two innovative new programs for multigenerational families to prepare themselves for the future. For 12 years, at Harvard Business School, she served as a facilitator in the Families in Business program, led its facilitation team, and contributed to the curriculum design. Ms. Collette has authored important publications pertaining to the success of family enterprises. Her latest articles include: “Growing Together Not Apart: Understanding Conflict in the Family Business,” “CEO Succession in the Family Business,” and “Top Leadership: Who is Architecting Your Family Enterprise?” among others. She is co-author of the book, Next Generation Success (Cambridge Family Enterprise Press, 2014), and the forthcoming book, Understanding the Power of Ownership: A Guide to the Rights and Responsibilities of Family Enterprise Ownership (Cambridge Family Enterprise Press). She is co-author of several Harvard Business School case studies and multimedia courseware on family-owned businesses throughout the world. Earlier in her career, Ms. Collette was a research associate at Harvard Business School for four years, where she studied family companies, wrote case studies, produced video cases, and developed educational materials on family enterprises. She also assisted in the design and operations of the MBA course, Management of the Family Business, and the executive program, Families in Business, at Harvard Business School, led by Professor John A. Davis. Ms. Collette earned her M.B.A. from Babson College and her B.A. in Sociology from the University of California. She completed coursework at the University of Cambridge in the United Kingdom.